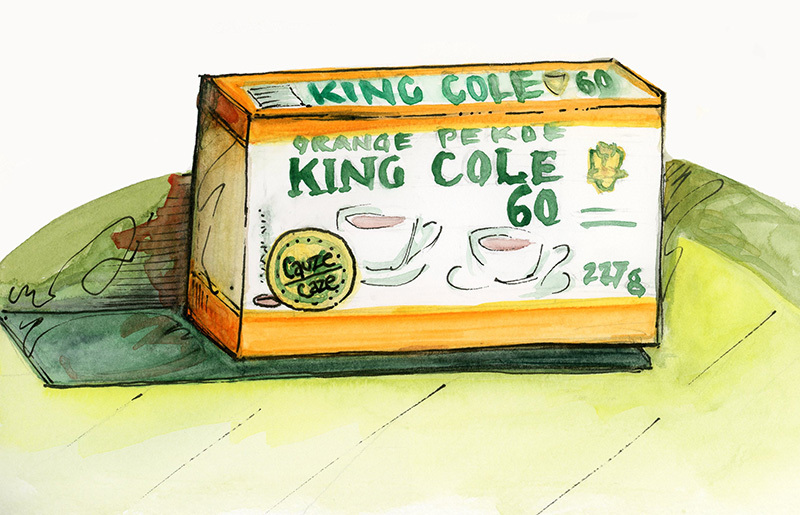 This is my usual tea of choice: orange pekoe tea packed in gauze tea bags by King Cole of New Brunswick, Canada. I had my first taste of it when I worked for the CBC courtesy of the tea-drinking ladies I used to sit near. The flavour and aroma is wonderful, especially for a packaged tea at such a great low price.